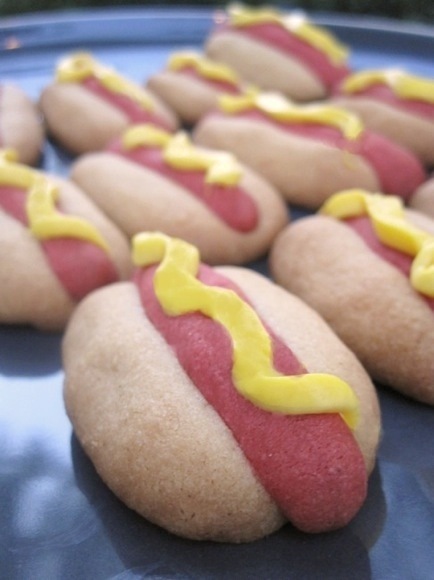 hot dog sugar cookies – perfect for labor day cookouts! happy labor day weekend! i hope for all of you, it entails gorgeous weather, delicious food + a party or two. last year, we hosted a labor day party, which is when the above picture was taken. 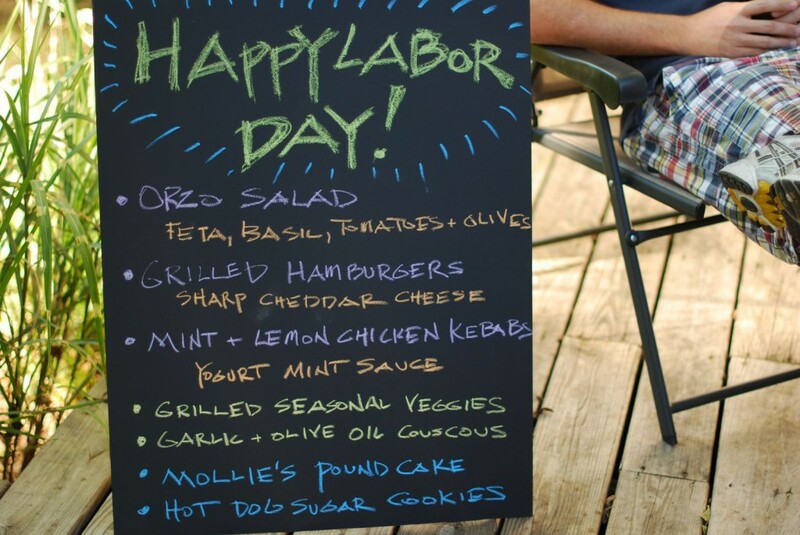 for details on last year’s party, as well as a fabulous tutorial on how to make chalkboard menus like the one i made above (still one of my favorite crafts! ), click here. this year, we’re skipping the hosting duties + simply going to be guests. i get to cook + bake, which i love, without having to prep the house for guests? win! i’m working out what to bring + a serious contender are the adorable hot dog sugar cookies i made last year. grillin’ is often associated with labor day parties, so why not put a fun spin on it + make hot dog-shaped cookies? as the party host, i was short on time last year, so my cookies only got garnished with yellow frosting ‘mustard.’ with a little more time, you could also garnish some with red frosting ‘ketchup’ + green-tinted coconut ‘relish.’ how fun is that? have a wonderful weekend + i can’t wait to hear about all the amazing things you grill, cook, + bake! combine butter, sugar, brown sugar, + egg yolk in a mixing bowl. in a separate bowl, mix together flour, baking powder, + salt. add the dry ingredients to the wet ingredients + mix well. cover and refrigerate for four hours. when dough is ready, preheat oven to 350 degrees. remove 1/3 of the dough from bowl. place remaining dough back in refrigerator. place the 1/3 of the dough in a mixing bowl + mix together with about 40 drops of red + 5 drops of green food coloring until it is the color of a hot dog (reddish brown). lay a sheet of wax paper to work on. take 1” pieces from the dough + roll into thin logs about 2” long, shaping them to look like hot dogs, rounding the edges. set aside. lay a second piece of wax paper down to work with the white dough. take remaining dough + separate it into the same amount of pieces as you have hot dogs. if you’ve made 24 hot dogs; separated the dough into 24 pieces. roll the white pieces into thick logs, slightly bigger than you made the hot dogs, about 2 1/2”. make an indentation in the center of each one + shape to look like hot dog buns. press sesame seeds into the sides of the buns. place the hot dogs in the buns, + place on a parchment-covered baking sheet. place in the freezer for 20 minutes, then bake for 17-20 minutes, until the edges are light golden brown. repeat until all hot dog cookies are baked. allow cookies to cool. 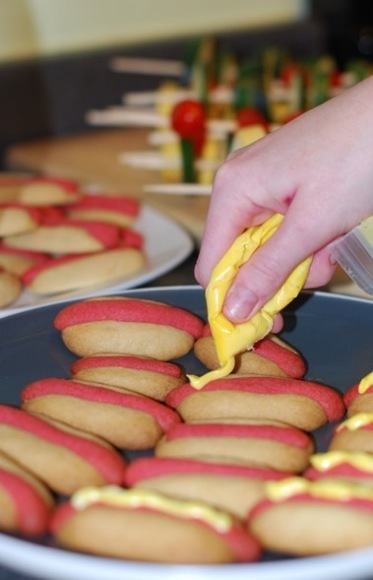 once cooled, to decorate, tint some frosting yellow + some red for mustard + ketchup. tint some coconut green for relish. decorate each hot dog cookie as you prefer. 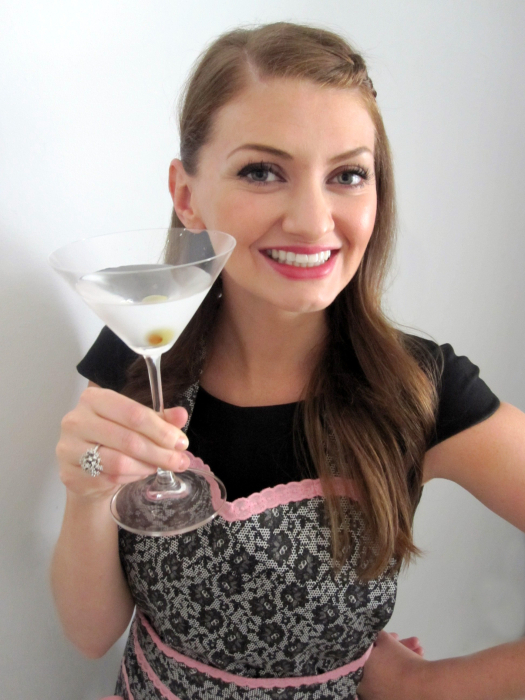 thanks to my friend mollie + my husband for taking these pictures, since i was so distracted by hosting the party that i didn’t even think to pick up a camera! These are too darn cute! My kids would get such a kick out of these. thank you! they are super kid-friendly — they could definitely help with the rolling of the hot dogs, shaping of the buns, + especially the garnishing with ‘ketchup,’ ‘mustard’ + ‘relish.’ hope you + the kiddos give ’em a try for a cookout soon! Fun! And you’re on a roll this week! Oh my goodness. How cute are these?!!! I adore these! aren’t they insanely cute? it’s amazing how making something miniature + sweet ups it’s cuteness factor by a zillion! Too darn cute! I wonder how they will work with powdered egg replacer? And I LOVE the chalkboard menu! Is that your handwriting…just curious. It’s nice. that’s my husband’s handwriting – isn’t it fab?! he’s an architect, + they’re taught in school to write the same so there’s never confusion on plans, drawings, etc. literally, all architect handwriting looks identical to me – it’s crazy! by the way, a powdered egg replacer should definitely work in this recipe, although you’ll need to add a little extra moisture with it – prob a tablespoon of water. Hot diggity dog, these are so cute! I’m bummed that we’re going to be out of town the majority of the weekend, because I would LOVE to make these for Monday. They are definitely on my list for our next cookout. What a super-cute (and perfect kid-friendly) idea! Thanks for sharing this! These cookies are not only super cute but were also so yummy at the cookout last year! Time flies, can’t believe that was a year ago, wow! they were pretty tasty, weren’t they? i can’t believe that was already a year ago either – time flies! thanks so much for taking the fabulous pictures of the party that i was too occupied to think about taking – they turned out fab! You know how I love some cute sugar cookies! I like how these are so simple rather than doing the hot dog design in icing, it’s the actual cookie. Too cute! These are so stinking cute! I will have to make them for the next party/get together we have! Hope yall have fun being the guests! It’s kinda nice every now and again, huh? oh my goodness—these are BEYOND cute!!! great job! natalie + alison – thank you so much! Holy freaking cute!!!! Wow, so nice that you get to have the fun of cooking/baking, but you don’t have to clean your toilets to prep for company coming over. That’s a good weekend! i couldn’t have summed it up better myself. amen! OH MAH GAH. So cute! I love them! That is sooo cute! I think I would have to do a double take if I saw one of those on the table. Mmm, cookies. Superb, now that is creative. Something about them being miniatures enhances the cool factor. agree! whenever you make something miniature, it immediately becomes both cooler + cuter. i think i need to explore this world of miniaturized food more! STOP. Those are adorable. I can’t even…oh my gosh. Holy cow those are so dang adorable! What a cute idea Amy. They look so complicated in the pics, but reading the recipe seems more than doable. You have to make these again this weekend. I hope y’all have a great party & a wonderful Labor Day holiday sweet friend! thank you so much, ally! i am definitely making these again this weekend – they’re too cute to resist. =) hope you have a wonderful weekend, too! you are too sweet! i made ’em again for this year’s labor day party + they came out even better than last year. pics should be on my blog / facebook page in a day or two. thanks for the wonderful idea! yes! i brought ’em to a party yesterday + i can’t tell you how many people asked ‘are those real hot dogs?’ too funny! thanks, erin — they’re definitely one of the cuter cookies i have in my repertoire! How cute are these?! I love them! What a great idea for a party. I am definitely going to keep it in mind for next summer!! LOVE these little cookies! I only hope mine come out looking as good as yours. The hot dog shaped cookies are out of this world. Good Job…. Have you ever tried to make a Taco shaped cookie? Let me know if you have. And where can I get the recipe for it. hi robert! i’ve never made cookies in the shape of tacos, but that’s a fabulous idea, especially for a cinco de mayo party. =) it looks like you can make ’em with a basic sugar cookie recipe like on this blog: http://www.projectdenneler.com/2009/05/cinco-de-mayo-dessert-o.html – i’ll definitely have to give ’em a try! Is it possible to make the dough a day before doing the rest and leaving it in the refridgerator for much more than 4 hours? Yes, Melody – that should be fine. A little extra chilling time (a day before) shouldn’t affect the dough!